http://www.history.com/topics/american-revolution This link is to The History Channel's websiite - history.com. It has a number of videos and readings that you can take advantage of to better understand or further explore the Revolution. Create a protest sign depicting one or more of the colonial grievances listed in the Declaration of Independence. At the bottom of the poster or on the back, explain how the poster shows the unalienable rights that have been violated. This can be as creative as you want it to be, as long as it has the information that we discussed in class included. You must use a "grievance" from the Declaration of Independence (if you need to look at that document, there is a link to it in Unit 2 on this webpage). You must also explain how the poster shows that the unalienable right has been violated- how are you showing the issue at hand through your sign? Lesson Synopsis - In this lesson, students will come to understand how after the French and Indian War the British government found itself in great debt. In an effort to pay off those debts, they relied on the American Colonies. The British Parliament passed several economic policies which they believed could help relieve their financial burdens. They were shocked and unprepared by the colonial response to their policies. Students learn about these policies through cooperative learning, learning stations, interpretation of a lithograph, dialogue and a storyboard. Background Information - The causes of the War for Independence played themselves out in a very complex and interesting way. There were many variables involved in influencing how England and the American Colonies responded and reacted as history has recorded. Taxation of course can be described as a major contributor to the tension between both groups, but it grew into something even beyond the imagination of the most patriotic colonist. In order for the students to truly grasp the epic rebellion of the American Colonies, they must understand the spirit of liberty that took hold of the hearts of many colonists. This strong desire to possess freedom is what characterizes this revolution. As a unique identity develops, conflicts with existing authority often result. — What were the causes of the American Revolution as a major era in U.S. history? — How are absolute and relative chronology used to sequence significant individuals, events, and time periods? representation in Parliament, and British economic policies following the French and Indian War? — What are the reasons for and the impact of civil disobedience in U.S. history such as the Boston Tea Party? — What are the different points of view of interest groups on important historical and contemporary issues? — What are examples of American art, music, and literature that reflect society during the Revolutionary era? Lesson Synopsis - This lesson begins with the opening of the 1st Continental Congress and has students compare both the 1st and 2nd Continental Congresses as they relate to the Declaration of Independence. The students will then work with the Declaration and write their own declaration to mirror the experience of the colonists. Background Information - After Parliament passed the Coercive Acts in response to the Boston Tea Party, colonists decided to unite and held a meeting in Philadelphia called the 1st Continental Congress. All the colonies except for Georgia were in attendance to discuss their collective course of action against British policies. Several items of importance were addressed and sent to King George III in the hopes that justice and peace would be the end result. 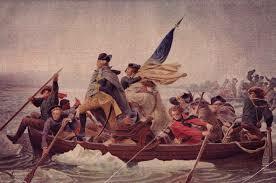 To their dismay, King George III ignored their concerns and sent more troops to the colonies. The Battles of Lexington and Concord served as the impetus for the meeting of the 2nd Continental Congress which took place a month after the skirmishes. It was at the 2nd Continental Congress that several important events took shape, such as the writing of the Declaration of Independence and the Articles of Confederation. They debated and discussed exactly how they wanted the colonies to state their case to the rest of the world. The adoption of the Declaration of Independence is considered the crowning jewel of the 2nd Continental Congress. This document became a catalyst for change all over the world. A desire to gain rights and liberties may lead to independence. — What were the causes and effects of the Declaration of Independence? — What is significant about 1776? — What were the colonial grievances listed in the Declaration of Independence? — What are unalienable rights and what are some examples? 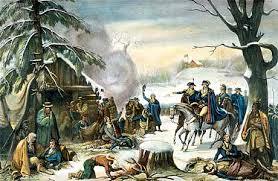 Lesson Synopsis - This lesson focuses on the major events, battles and significant individuals during the American Revolution. Activities for this lesson include research, creating a mini-book and a writing piece based on multiple perspectives. Background Information - After the adoption of the Declaration of Independence, colonists officially set out to gain their independence from England. Although the first battles were fought during the lapse between the 1st and 2nd Continental Congresses, the colonies had not officially engaged in war. The Battles of Lexington and Concord were fought in response to British action. The other battles followed, exposing weaknesses in both armies. 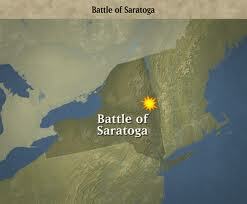 It was not until the Battle of Saratoga, the turning point, that the colonies saw the tide of war turn in their favor. When Washington accepted the surrender of General Cornwallis at Yorktown, the colonies were finally free. Revolution involves a sudden, radical, or complete change. — Why is the American Revolution considered a major era? — What roles were played by significant individuals? — What issues surrounded important events of the American Revolution? — How did the American Revolution involve sudden, radical or complete change? Abigail Adams – wife of John Adams, served as his confidant and support while he served in the Continental Congress. When John and others were considering a declaration of independence, Abigail reminded him to take care of the women, who would not hold themselves bound by laws in which they had no voice (“Remember the ladies”). Benjamin Franklin – a member of the committee which wrote the Declaration of Independence, but spent most of the period of the American Revolution in France. He represented the colonies as the American envoy starting in 1776 and remained until 1785. 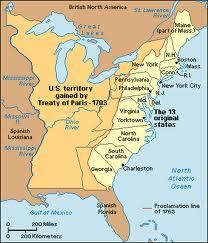 He negotiated the alliance with France and then the Treaty of Paris which ended the war. King George III – feared that the loss of one group of colonies would lead to the loss of others and the eventual decline of the empire. To prevent this, the Crown maintained an aggressive policy against colonial resistance. George III struggled to enforce royal authority throughout his reign. Thomas Jefferson – early and effective leader in the American Revolution. He was a delegate to the Continental Congress in Philadelphia and in 1776 he was a member of the committee which wrote the Declaration of Independence; chief writer of Declaration of Independence, which was approved by the delegates. The Marquis de Lafayette – a French aristocrat who played a leading role in two revolutions in France and in the American Revolution. He respected the concepts of liberty and freedom and constitutional government. Between 1776 and 1779 he fought in the American Revolution, commanding forces as a major-general in the colonial army; important because France joined the Colonists against the British. Enduring the winter at Valley Forge – after suffering several defeats, Washington took his army to Valley Forge for the winter of 1777. There the men were trained and became more of a professional army (rather than militias). The winter was harsh and men suffered from starvation and frostbite.